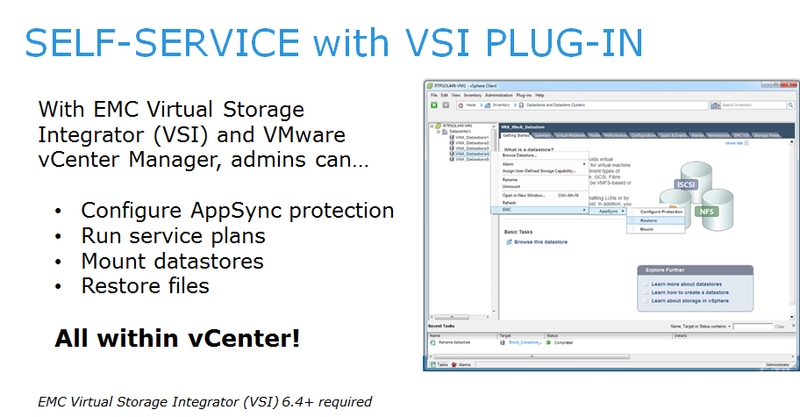 Minimize Data Loss and Downtime. 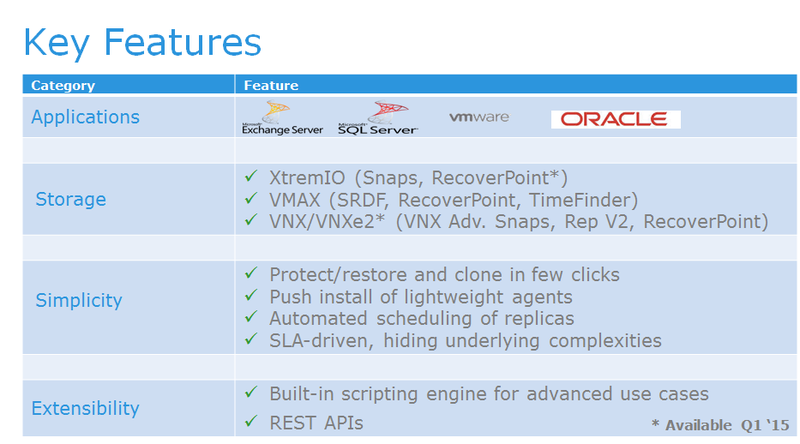 Fastest Recovery Using Smallest Storage Footprint. 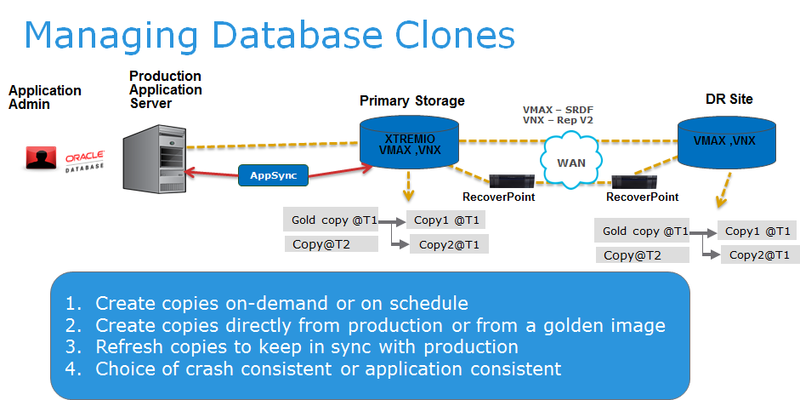 ok but how replica managements is related to EMC Appsync ? 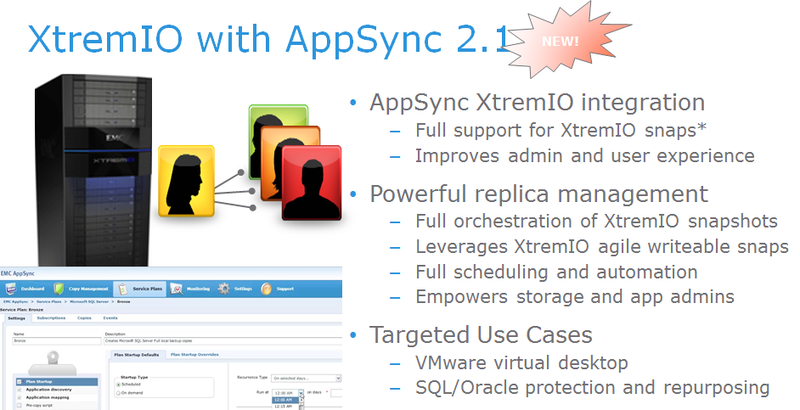 AppSync is Simple to Install: AppSync is simple with EMC Unisphere-like interface and can centrally push and upgrade its agents to application servers. 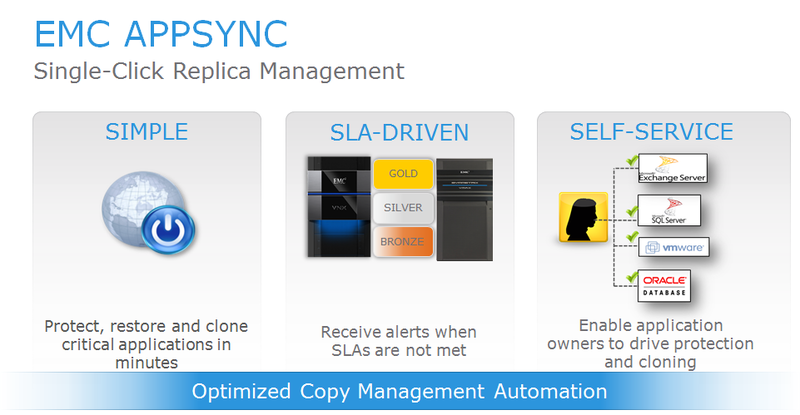 AppSync is Simple to Manage: AppSync has an intuitive SLA-driven management interface that provides real-time RPO protection status information. 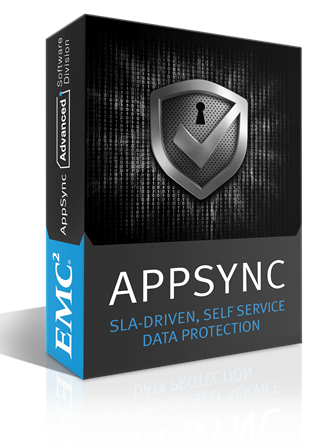 AppSync is Simple to Order: AppSync is now part of the EMC VNX Application Protection Suite and is part of the Total Protection and Total Efficiency Packs. 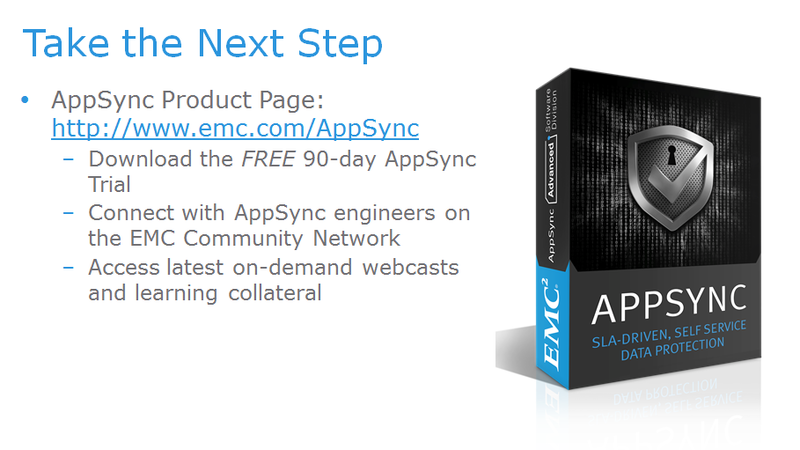 You may already have the ability to use this product, all it takes is a zero dollar sales order with your EMC Sales rep to make it official. The product is SLA driven and you can receive alerts when SLAs are not being met. In this example, our Exchange Bronze (local copy plan) is doing fine as indicated by our green status in the AppSync dashboard. But VMware and SQL aren’t doing so well because it looks like something may be wrong with the remote link. AppSync will provide a dashboard status based on the status of the copy, and can also send an alert to the email recipients. 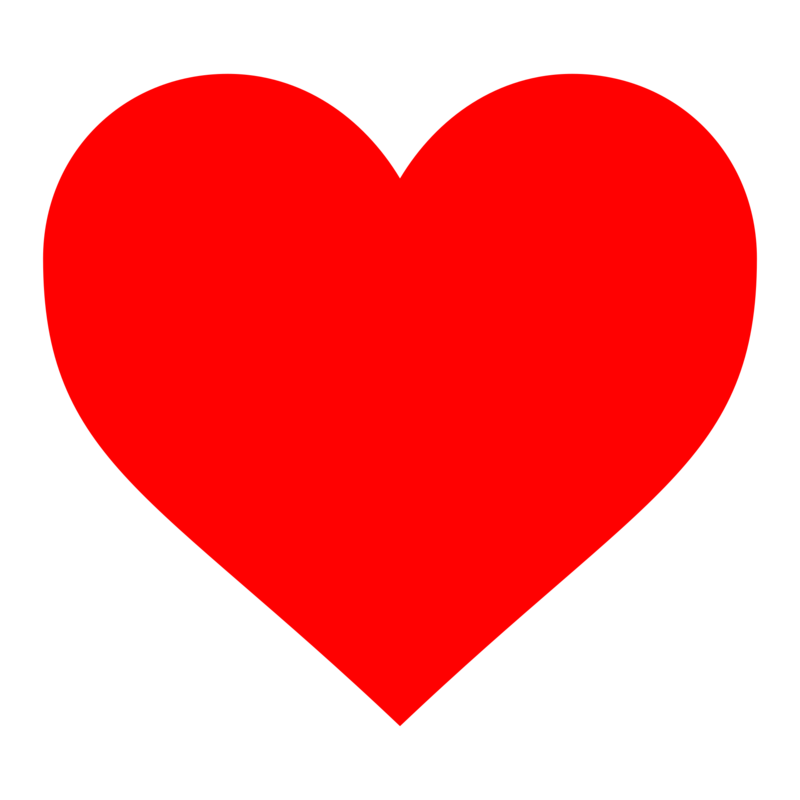 downloading and taking it up for a spin is super easy, just go to the url above and test it for 30 days, im SURE you are going to love it! below you can see a demo I recorded that shows it all, enjoy.